This bespoke, handmade kitchen in walnut and white finish for a house in the Ashdown Forest, East Sussex, was designed with the client by Bourne's Fine Furniture. The handmade kitchen units are constructed from beige laminate and then spray painted for the high-end white finish. 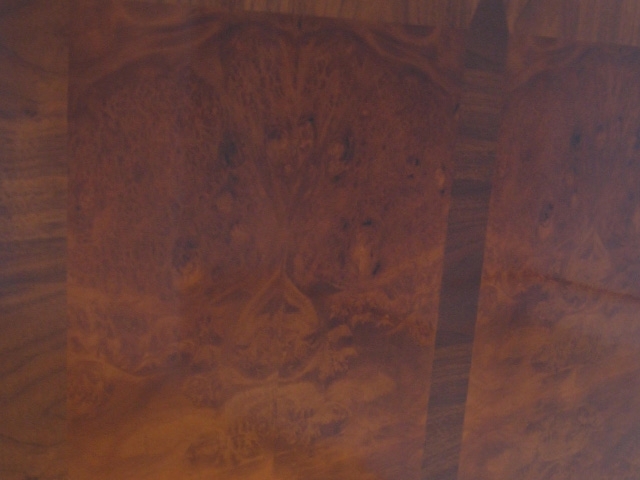 The kitchen doors are made from solid tulipwood that has been spray painted. 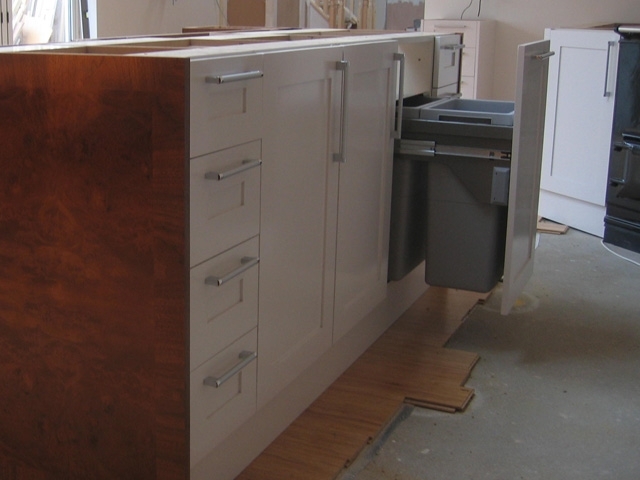 All the kitchen drawers have soft-close runners and the cupboard doors have soft-close hinges. 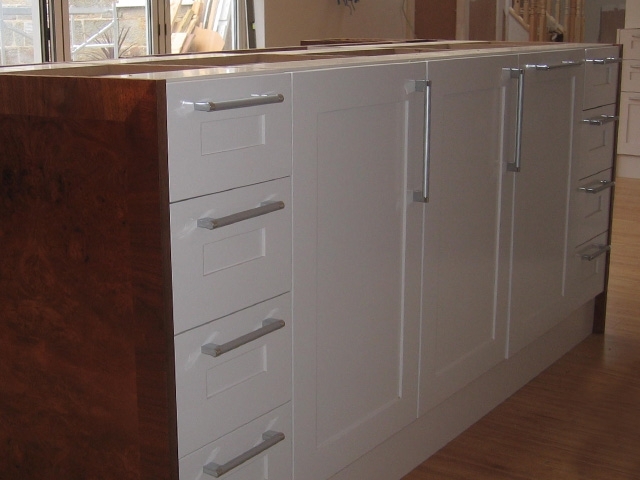 The door and drawer handles were hand picked by the client from the website of a local supplier with which Bourne's Fine Furniture has a long-standing relationship. 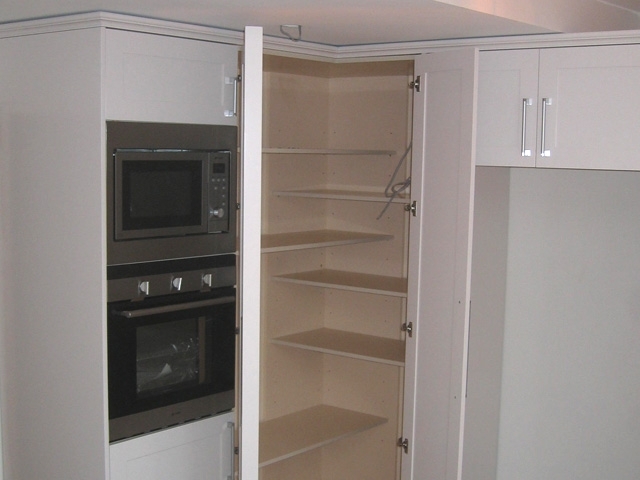 The quality white finish has been applied to the wall units and extends into the utility room. 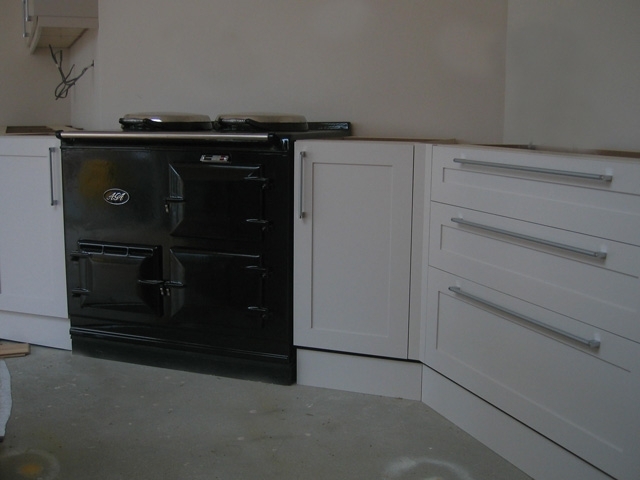 This bespoke kitchen design includes a built-in oven and Aga, and an integral fridge. The handmade breakfast bar is spray painted at one end, in contrast to the stunning walnut and burr walnut finish at the other. We think the end result is incredibly effective. 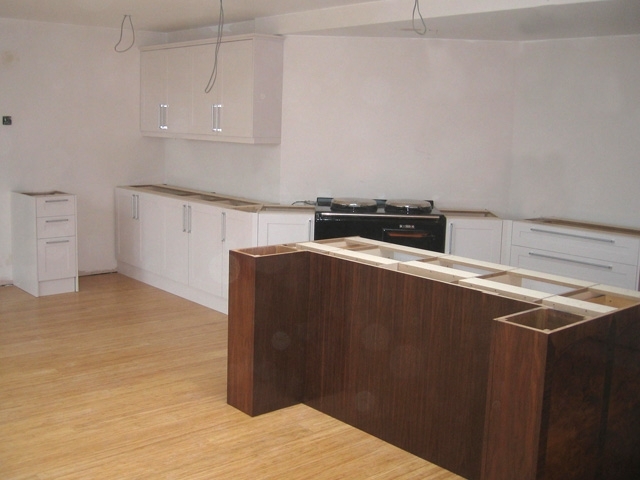 A similar kitchen to this one costs around £8,700. If you would like Bourne's Fine Furniture to design and build you a bespoke, handmade kitchen, please contact us and speak to Ian Bourne.